KIAWAH ISLAND, SC (WCSC) - Carrie Moores says she was shushed by golf players earlier in the day at the Kiawah Island golf course as she took pictures of a golf tournament. 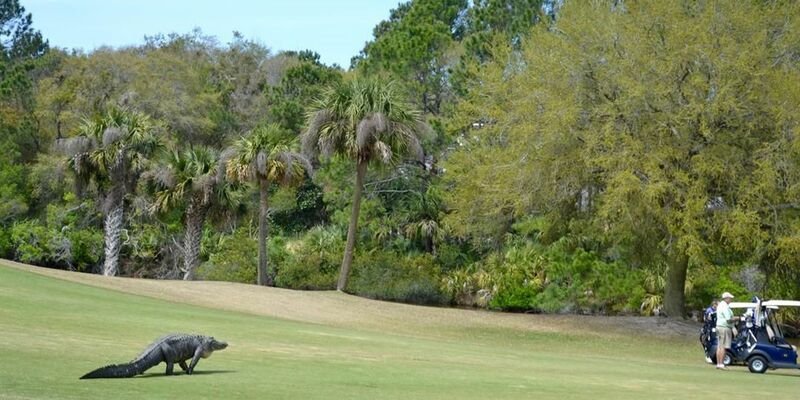 But she had to break her silence this time around since a giant gator, which Moores described as a "dinosaur," was bearing down on four oblivious golfers. "I was marching up to them with my camera in hand when I spotted the tremendous alligator heading for them," Moores said. Moores, who was taking pictures for the Barrier Island Free Medical Clinic, said she warned the golfers by shouting out,"Watch out!" 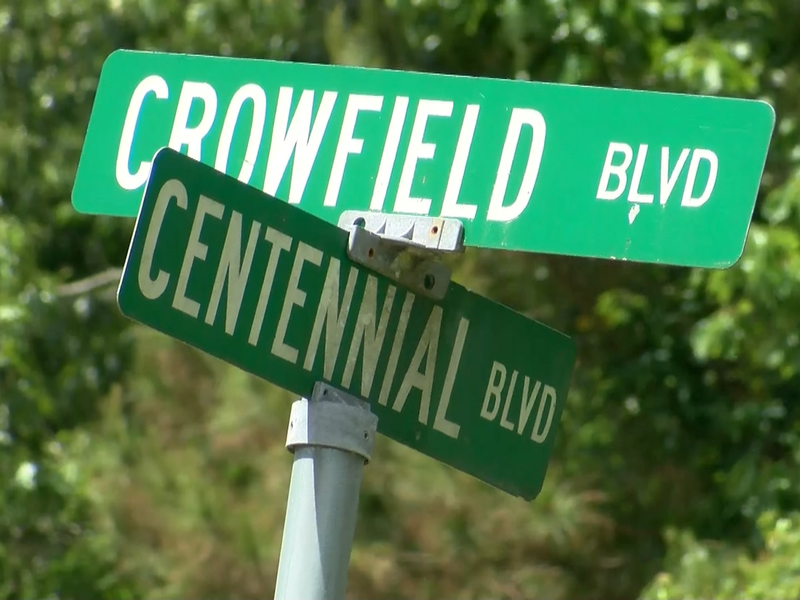 "The players immediately hopped into their golf carts and sped off. As did I!" Moores said. "The gator continued on the same path right through where the players had been standing and slipped into the pond." According to Moores, the gator was about 8 feet long and appeared to be about 400 pounds. Moores said the sight of the gator was quite a shock for her. "I had seen a few lounging baby gators that day, but I had never seen a dinosaur before," Moores said. "It felt like Jurassic Park. This was truly a beast. I am hesitant to check my own mail box now! Coming from Connecticut, we only had to deal with pushy squirrels." Moores who moved to the Lowcountry from New Haven last year works as the clinic's Marketing and Communications Specialist. We're betting four golfers are glad she made the move. "I yelled out to them that they all owed me a drink for saving their lives!" Moores said. "They took it all in good humor. Golfing in the South has its risks!" As for the event Moores was covering, the 10th Annual Celebrity Golf Invitational was a success raising enough money to fund over 3,800 free patient visits. The Barrier Island Free Medical Clinic helps treat underserved, uninsured community patients who live or work on Johns, James, and Wadmalaw Islands. "We are so thankful to our donors and volunteers who keep our clinic as a high quality, free medical primary home for our uninsured community," Moores said. You can find more information on the clinic here.